Aleina Hammonds is a Program Associate in Performing Arts at the William and Flora Hewlett Foundation. She provides administrative and programmatic support to the program officers, and also helps support the Hewlett 50 Arts Commissions. Previously, Aleina worked as program assistant in environmental conservation at the Gordon and Betty Moore Foundation. While a student, she interned at the Sacramento Metropolitan Arts Commission and the Hawaii State Art Museum. 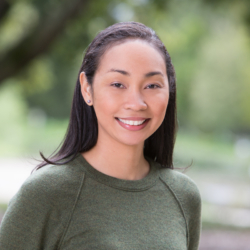 Aleina has a bachelor’s degree in art history from the University of Hawaii at Manoa and a master’s degree in nonprofit management from Northeastern University.